Simone Elkeles became one of my favorite author after reading her Perfect Chemistry and Leaving Paradise series. How to Ruin series is one of her earlier work and comparing How to Ruin and Perfect Chemistry, I can see the improvements. 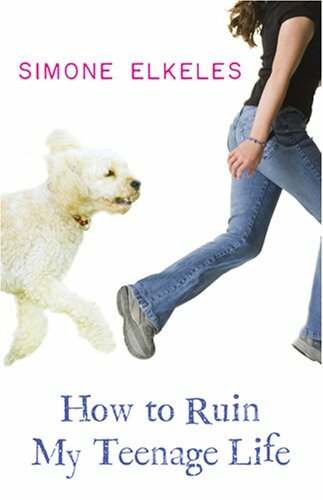 How to Ruin series is about (spoiled, low self-esteem, spunky, tends to speak her mind all the time) Amy’s journey of finding herself, love story about her and Avi, her non-boyfriend and building a relationship with her estranged biological father (she was born result of a one night stand). How to Ruin a Summer Vacation is the first book of the series. It started with Amy’s mother making her to go with her father, Ron, to Israel to visit her grandmother. Amy already had the entire summer planned hanging out with her best friends and her new boyfriend as well as be part of tennis summer camp. Instead, Amy’s existence was only introduced at the moment she arrived in front of the house where her extended family lived. She bonded with her grandmother right away. She was getting hateful treatment from her cousin O’snat, and Avi who seems to be everywhere she turned. She was challenged to new things which she would never think she would or could do. She shaved sheep and participated river rafting even though she is not a strong swimmer. Amy’s life was turned upside down. 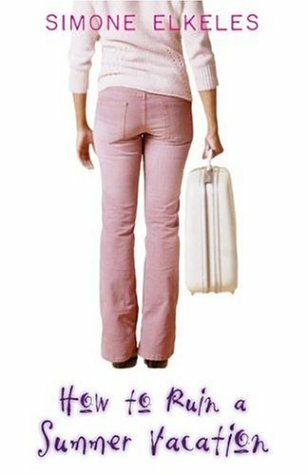 Her mom got married, moved to the suburbs, expecting a baby and she finally realized what she was missing in her life in the second book, How to Ruin My Teenage Life. She moved in with her dad, started Jewish conversion classes and have to deal with a teenage boy, Nathan moved in next door, who hated her. Amy was determined to setup her father on dates. Avi showed up in Chicago as a surprise and Amy dealt surprises with the worst possible way. She eventually warmed up to Avi but the moment Avi learned that Amy kissed Nathan not only once but twice, it drove them apart. Amy needed to figure out what she wanted out of their non-committed relationship. It was a year ago since Amy visited Israel. Amy, being Amy, and her adventure continued in How to Ruin Your Boyfriend’s Reputation. She enrolled in a 2-week military boot camp in Israel hoping to see her boyfriend, Avi, there. She stumbled all the way throughout the boot camp and made fun of herself. Little did she know, she found out Avi had been kissing Liron. She immediately pulled Nathan into faking a relationship with her in order to get jealousy out of Avi. As usual, Amy was able to right all the wrongs she did. At the end, she was able to save her relationship with Avi and they decided they both need to commit the relationship. It was definitely a fun and short series to read and I enjoyed them immensely. I am definitely look forward to reading more Amy’s screw up.